Google Pixel 2 Officially Unveiled with Android Oreo, Amazing Camera, e-SIM - Playfuldroid! 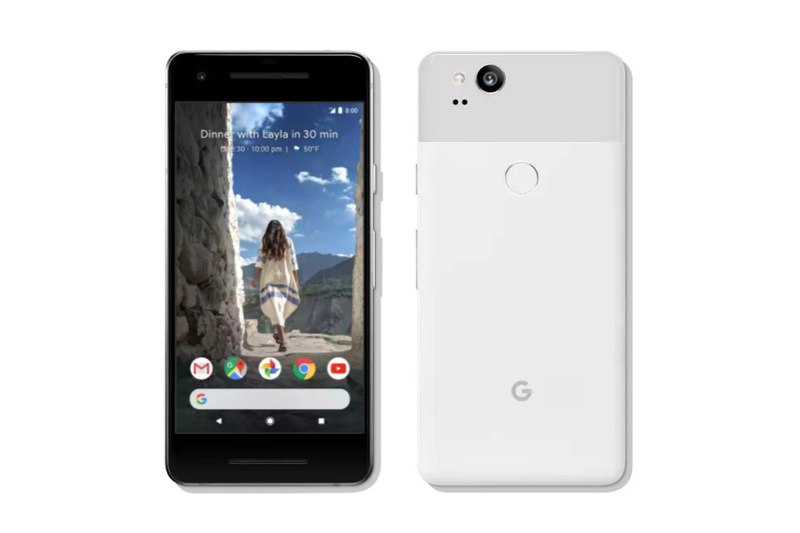 Google has unveiled the Pixel 2 smartphone alongside the Pixel 2 XL phone. 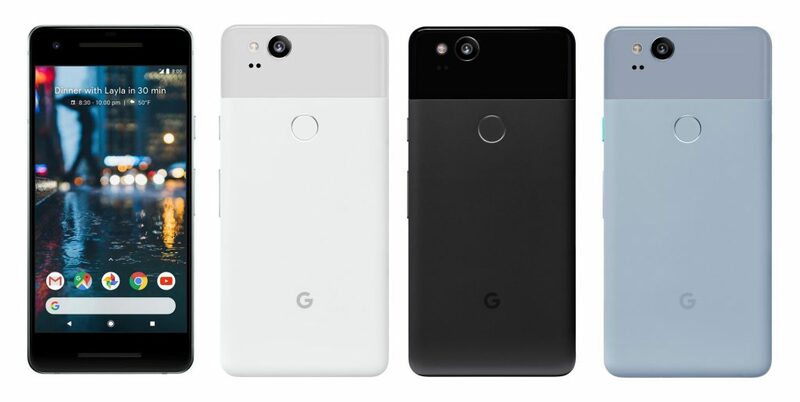 Design-wise, it looks like the original Pixel phone from last year. It has a IP67 certified chassis and its rear is made of glass. It measures 145.7 x 69.7 x 7.8 mm and its weight is 143 grams. It comes in color choices like Kinda Blue, Just Black and Clearly White. Like the HTC U11, the handset features a pressure-sensitive screen that can be used to launch certain apps like Google Assistant. It does not feature a 3.5mm audio jack. The Pixel 2 features a 5-inch full HD AMOLED display that offers 95 percent DCI-P3 coverage. It is protected by Gorilla Glass 5. The handset is driven by Snapdragon 835chipset and it includes 4 GB RAM. It comes in storage choices like 64 GB and 128 GB. It is fueled by a 2,700mAh capacity battery. The rear side of the phone features a f/1.8 aperture 12.2-megapixel camera that is equipped with OIS and dual-LED flash. The frontside of the Pixel 2 houses an 8-megapixel snapper. Other features of the phone include Android 8.0 Oreo, Wi-Fi 802.11ac, 4G VoLTE. 5.0 Bluetooth, dual front-facing speakers, USB-C port and fingerprint scanner. The Google Pixel 2 is available with a pricing of $649 and $749 respectively for 64 GB and 128 GB models. The pre-orders of the Pixel 2 have started and its shipment will begin on Oct. 17. It is also available on pre-orders in other regions like Australia, Canada, Germany, India and the U.K. Italy, Spain and Singapore are slated to receive it later this year. In the U.S., it is exclusively available through Verizon. Its unlocked edition that features an e-SIM for Project Fi can be availed from Google Store. Users of Pixel 2 can take advantage of unlimited storage on Google Photos until 2020.